A player is diving towards the stands, as he tries to chase the loose ball off a turnover. There’s suddenly a mad scramble the occurs. Coaches just hope no one gets hurt. Parents cover their eyes, as they don’t want to see what happens after the madness. It’s become an all too common sight when watching High School basketball. Turnovers are aplenty, as players struggle to go through full court presses thrown by opposing coaches against each other. Missed shots, from jumpers, to the most open of gimmes are commonplace. It’s a recipe for madness, but it’s something we’ve come to expect in this level basketball. Players are younger. Raw. But even that isn’t enough to describe the level of improvement needed by these prospects. It’s absolute madness. It was the final game of the elimination round of Season 76, as the Ateneo Blue Eaglets and the NU Bullpups battled in the Blue Eagle Gym. From the get-go, the pace was blistering. Parents looked just as tired as their sons. Absolute madness, just as expected. But something was different about this game. It wasn’t just about the stakes at hand, as a win by NU gives them a sweep of the tournament and an outright ticket to the Finals. There was tension between these two teams, one that went beyond their stars trading buckets, all for the sake of a win. 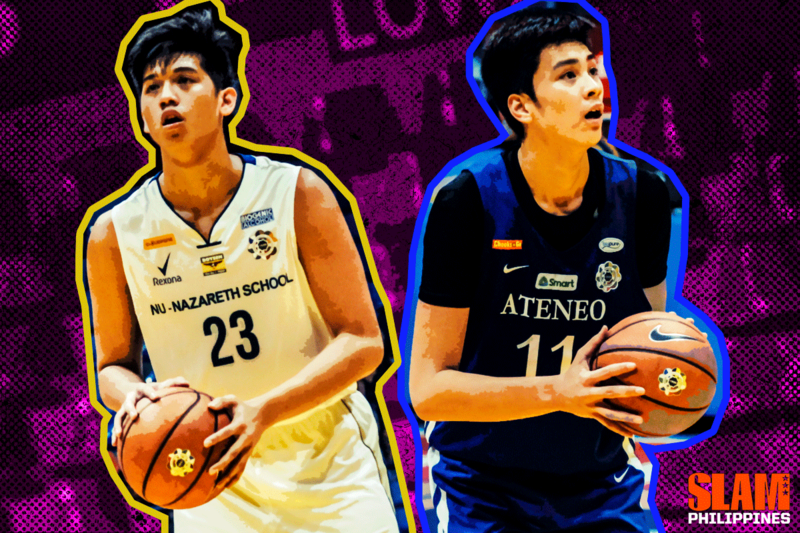 Bad blood was brewing between the Ateneo Blue Eaglets and the NU Bullpups. Fast forward to 2019. The rivalry between these two squads is as fierce as ever. It’s no longer just about winning basketball games. It’s now for the title of who has the best High School program in the UAAP. Almost the entire Ateneo High School batch 2015 remembered exactly how he looked like. Bushy hair, sharp chin, a bigotilyo to boot. He looked like the perfect villain of the next Toy Story. Yet, no one really knew what his name was. All they remembered were the names Dyke, Manalang, Clemente, and Baltazar. But this guy’s name, they never bothered to take note of. They just knew, they hated him. It all started in Game 1 of the Season 77 Finals, where Mark Ferreras showed villainy beyond his looks. After a made basket, he flexed. Run of the mill flex. The difference was he was facing the testosterone-filled Ateneo High School crowd. Not normal, also not a very good idea considering the numbers he was facing. Yet there it was, Ferreras flexing what he could in front of that rabid Ateneo crowd. It didn’t make sense. It was a defiant act by the undersized big man. Foolish. For NU and its community, however, it didn’t mean any of those things. That one act embodied what the NU Bullpups are as a program. They can be defiant, but most importantly, they go beyond their star players. NU has been LeBron-levels of consistent ever since Coach Jeff Napa first handled the team during Season 74. They’ve made it to eight straight Finals, winning three titles in the process. It’s easy to takeaway how they’re 3-5 in that stretch, but making it to the Finals is already a feat in itself. It deserves recognition no matter what the case may be. Even with Napa no longer calling the shots for the Bullpups, Coach Goldwin Monteverde and his coaching staff have continued to embody these principles Napa laid down from day one. Outside of the Ferreras flexes, NU has been a no-nonsense program. They simply want to win, and they have a blueprint of how to get to their goals. It’s tradition that has been passed on. From Raph Atangan, to Hubert Cani, to Mark Dyke, to Justine Baltazar and John Lloyd Clemente, to Rhayyan Amsali, and now, to the Season 81 Bullpups. Time has passed, but one thing remains: NU in the Finals. All thanks to the concept of accountability of each player, no matter what one’s role may be. It’s easy to look at Carl Tamayo, arguably the second most talented player in the league, when talking about NU. However, as good as he is, he plays off the bench along with fellow Batang Gilas member Terrence Fortea. Starting ahead of them are Ernest Felicilda, Reyland Torres, and Cyril Gonzales. They are unheralded, but are still given significant burn by the NU coaching staff. They’ve walked the talk, cruising to a 13-1 record in the process. They are the favorites heading to the Season 81 Finals, mostly thanks to their depth. Tamayo, Kevin Quiambao, and Pao Javillionar make for a painful front court to have to go up against. Fortea, Felicilda and Gerry Abadiano are proven commodities who fuel their vaunted full court press. For the Bullpups, everyone flexes. Tamayo showing off his muscles after posting up as smaller defender is as valuable as Steve Nash Enriquez making the most out of limited minutes by dishing dazzling assists left and right. Their level of consistency can get boring at times. But it’s their commitment to the team, the concept of giving each player a say on how their squad operates, that has them in the Finals once more. They don’t need opposing teams to remember them as individuals. The only name they want to be remembered as: UAAP Season 81 Juniors Basketball champions. There were two minutes remaining in Game 1 of the Season 76 Finals when the score read 85-75. To the surprise of many, it favored the Ateneo Blue Eaglets, as they were on the verge of upsetting the 14-0 NU Bullpups. It took some time, but everything was starting to click for the talented Blue Eaglets. Their production on the court was starting to match whatever talent they had on paper. Aaron Black was on fire. Thirdy Ravena continued to put up MVP production. The trio of Jolo Mendoza and the Nieto twins played like legit Batang Gilas players. In that moment, it looked like the glory days of the Blue Eaglets as the best High School program in the country was being revived. For a fanbase like Ateneo has, two years of just making it to the Final Four wasn’t enough. Finals or bust, nothing more, nothing less. Championships, even better. They were taking the steps to get back there. Then, All of a sudden, it vanished. Errors started to pile up for the Blue Eaglets, while NU started to get stops. It came in a blur. A few tense moments later, the buzzer sounded. One side rejoiced. The other was in utter shock. The game was going to overtime, as the score suddenly read 86-86. NU went on an 11-1 run in a span of two minutes. NU carried the momentum up until overtime, and Ateneo couldn’t do anything about it. The Bullpups took Game 1, 101-93 to move a game away from winning the championship. Ateneo, on the other hand, needed to win the next three games. Moments like that capture how the Ateneo Blue Eaglets have been over the last few years. Talent has never been an issue for a program like Ateneo. 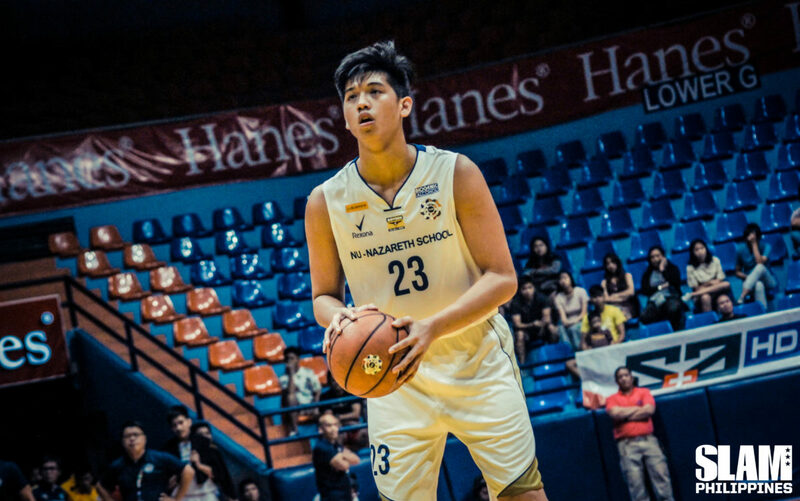 The school has boasted the UAAP MVP three times over the past six seasons. Over that same stretch, they’ve also been home to the most National Team members with 14. Individual production hasn’t been the cause of frustration for some fans. It’s been meshing together championship worthy squads that has been the caused of ire from some critics. The common enemy during these runs: youth, inexperience, and lack of polished talent. This was evident with how the Season 76, 78, and 79 Blue Eaglets faltered during tense moments. This Season 81 version has more reasons to face that issue. This is arguably the youngest Blue Eaglets team in its history, as half of its roster are composed of Junior High School students. This year alone, they’re the second youngest team in the league, just behind the worst team in the league, the UPIS Junior Maroons. They have fought through their youth, finishing second after the elimination round. Age is just a number, but in many moments, it’s proven to be more than just that for Ateneo. Their three losses this season have been products of this lack of experience from the team. RJ Abarrientos and the FEU Baby Tamaraws buried them in the overtime period during the first round. Abadiano and the Bullpups proved too much for these young Eaglets down the stretch during their two games this season. Coming into the Finals, Kai Sotto said so himself: they are the underdog. There’s no sugarcoating it. But all hope for an Ateneo championship begins with this season’s Most Valuable Player. Sotto will be the best player of this series. There is no questioning that. 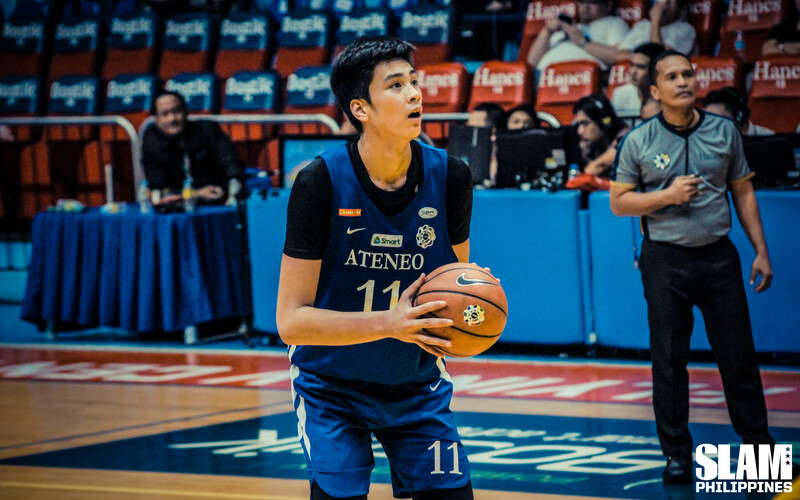 He’s so good that just having him immediately gives this Ateneo team at least a chance in this series. Many have built it up as follows: best team versus best player, as if this is UAAP Juniors’ version of Warriors versus LeBron. But, here’s the reality: one player can only do so much. LeBron learned it the hard way. As much as possible, Ateneo wants to avoid learning it with losing. It’s up to the rest of the Blue Eaglets to bridge that gap if they want to repeat. Ever since the start of the second round, Ateneo’s plethora of wings have started to establish a rhythm with their offense. Daniel David has been a constant with his leadership and movement. JC Fetalvero’s hustle and commitment to the little things cannot be discounted. Joaquin Jaymalin is starting to figure things out. In the backcourt, Ian Espinosa has established himself as one of the brightest young point guards in the league. His motor and effort make up for whatever he lacks in height. Then there’s Forthsky Padrigao, backstopped by Geo Chiu, two proven Batang Gilas prospects who have grown ever since. Make no mistake about it: this is a talented Blue Eaglets team. This Blue Eaglets team is so talented, in fact, that if they were up by 10 points with two minutes remaining in Game 1, no one should be surprised. But leading by 10 with two minutes left, and leading by 10 after the final buzzer are two completely different things. Talented teams do the former. Championship teams do the latter. It’s up to these Blue Eaglets to get over the hump, and bridge that two minute gap. Right now, there hasn’t been a better string of games from High School games compared to the ones Ateneo and NU have put up. The Bullpups have been a consistent force, with a steady recruitment and development program aiding the squad. Fortea, Abadiano, and Tamayo is quite the haul. The Blue Eaglets have always been home of the most talented players. Sotto is a transcendent talent, while Padrigao and Chiu have proven themselves worthy to be talked about. In this decade, Ateneo and NU have won three titles each. Season 81 will break the tie between these two prestigious programs. The best players. The best coaches. The two best teams. All surrounded by that unique rivalry air that’s been around ever since Season 76. Both teams simply want to win, nothing less, nothing more. It’s time to break the tie, as the bad blood between the Bullpups and the Blue Eaglets continues to boil.